Create a beach away from the sea with the help of our Sand Tray Frame. Designed for use with our other sand tray items, this hardwearing and durable tray is perfect for busy nurseries. The tray frame is fitted with four sturdy square pole legs which support it during use and work to minimise injury. It can be used both indoors and outdoors - depending on the space you have available and works to encourage collaborative play. The raised design also elevates sand and other play items to a comfortable level for children which will encourage more timid children to experiment. For versatility, the legs can be adjusted to three different heights to suit the age group you teach and the corresponding tray. 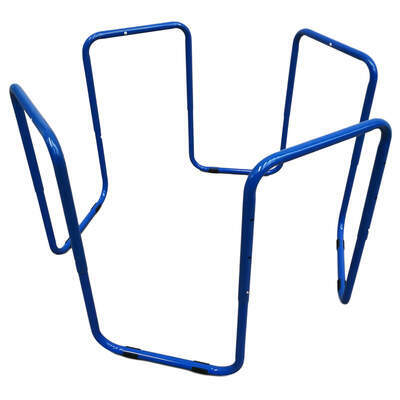 This sand tray frame is fully compatible with our Gompels Sand Tray. When combined, they create an engaging and thrilling play centre for children of all ages. And, they can double up as a crafting table for space-poor environments.